New Players: If this is the first LUDA league you've played in, dues are 50% off! 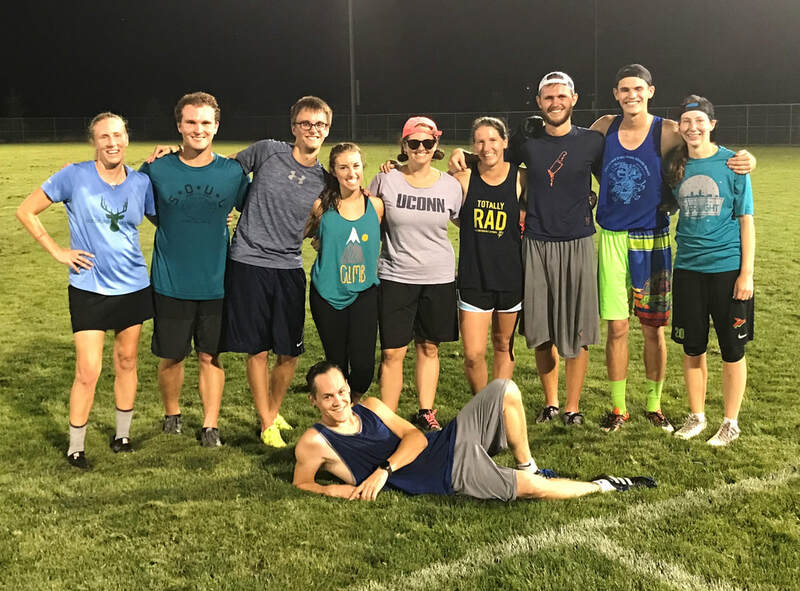 Congratulations to Frizzing Wizbees for winning the LUDA Summer League 2017 playoffs! 7 vs. 7 Coed -- At least one woman per side on the field. Captains shall make further gender balance decisions on a game-by-game basis. For each half that a team cannot field at least one woman, that team shall be assessed a penalty of one point per half (for a maximum of two points per team per game). Games are at Fleming Fields (off of N. 27th St, between Holdrege and Cornhusker Hwy). Two games per team per night: at 7:00pm and at 8:30pm. As daylight runs out, games will be played under the stadium lighting. Registration fee is $30/player to cover field rental and swag. League dues must be paid by week 3, June 8. Contact us at info@lincolnultimate.com if accommodations are needed. If you're a new player, meaning this is the first LUDA league you've played in, dues are only $15 (50% off). Starting on week 3, if a team plays a game and fields a player that has not paid their league dues, that team will forfeit that game 0-15 on the official schedule. Captains recognizing unpaid players on their team or on another team should bring up the situation with a LUDA commissioner or with the other team's captain. Substitutions: teams may bring subs to fill out their rosters, i.e. to replace absent team members that have already paid their dues. Subs not replacing absent team members must be willing to, at the discretion of the LUDA commissioners, be moved to other teams to ensure balanced play. Individuals NOT willing to be moved may be required to pay a per-day "sub﻿﻿ fee" of $5. Alcohol and dogs are NOT allowed on Fleming Fields. Cleats (or at least athletic shoes) are recommended. Games are to 15 points with no win-by-two rule. Halftime at 8. Each game has a hard time cap of 80 minutes, with a 5-minute warning issued at 75 minutes. No soft time cap. Time cap is strictly enforced, but ties are not permitted: the last point will always be allowed to complete. Each team receives one timeout per half plus one floater. Fields are 40 yards wide and 110 yards long (70 yards proper and 20-yard endzones). When determining playoff brackets, the tiebreaker used will be head-to-head record (followed by head-to-head point differential). Field entrance (yellow/red) is to the south of the 27th Street overpass. Free parking (pink) is available in the lot to the south of the fields. Restrooms are directly south of the fields and/or in the center of the baseball complex.